Tom Clancy’s The Division 2 builds upon where the original installment left off while retaining most of its positive aspects and adding its own flair to the mix. 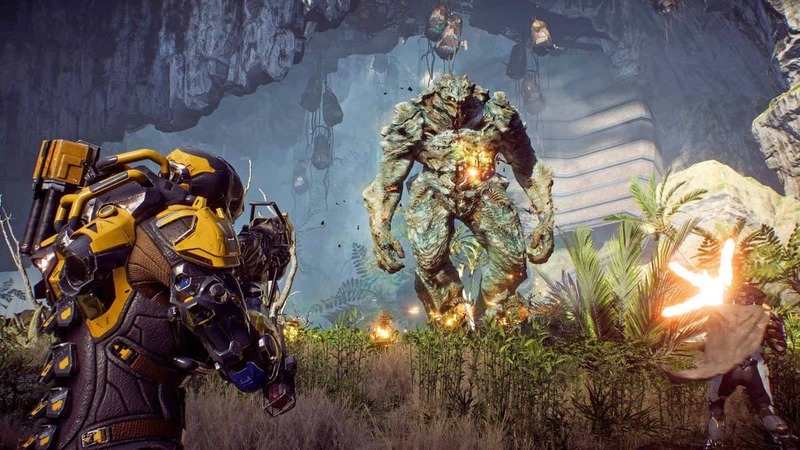 It stands tall amidst the “always-online shared-world looter-shooters” and checks all the boxes one would expect from the genre. The Division 2 doesn’t try to build itself on empty promises and yearlong plans but offers plenty of content right off the bat with more to come. The content is engaging and there is loot for everyone. The Division 2 is set in Washington D.C., seven months after the events of the first game. The opening set piece throws you in the middle of a firefight somewhere on the outskirts of D.C. that essentially acquaints you with basic controls and mechanics. The sequence culminates with you reaching the Capitol to answer a distress call and, as the new sheriff in town, are tasked to better the law and order situation in the region. 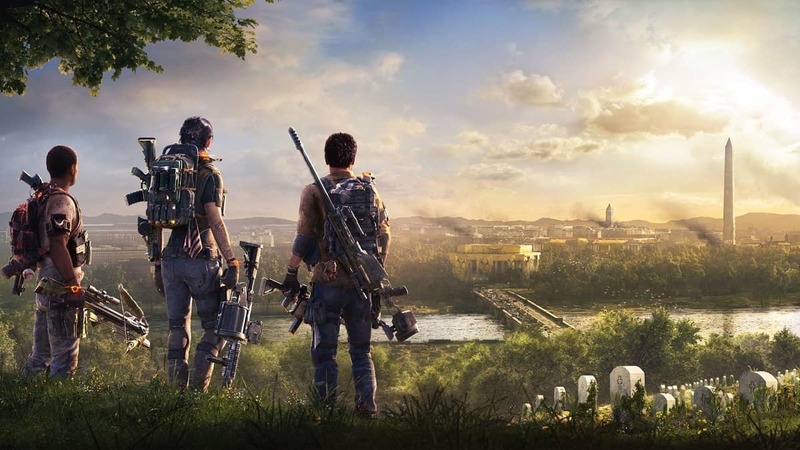 As is the case with a majority of looter-shooters out there, the story isn’t something The Division 2 thrives on. The character doesn’t have a rich backstory that is explored during the course of the game. If you’re new to the franchise, possibly all you need to know is that a virus swept away everything, tossing the society in a state of total chaos. As an agent of Strategic Homeland Defense or SHD, you take it upon yourself to help you remaining survivors and rebuild the civilization. During the world-building process, you will often come across story bits in the form of collectibles (comms, ECHOs, audio logs). You can always go out of your way to find these collectibles to learn more about the world you’re in. With that being said, you can expect to spend a good 20-30 hours to complete the story. Before you set foot in D.C., you’re presented with a robust “Character Creation” screen with over 40 presets and extensive customization options to fine-tune your character to your heart’s content. The world is where The Division 2 strikes its first massive blow. It’s a nice shift from the tall skyscrapers and snow-ridden streets of NYC. D.C. is beautifully crafted and feels lusher, vibrant, and is generally feels less monotonous as compared to the first game. The attention to even the tiniest of details is nothing short of remarkable. There is a focus on verticality and no door is ever locked. The game encourages you to go out of your way to explore and rewards you handsomely for it. Even the PvPvE zones known as the Dark Zones are much larger as compared to the original game. Safe Houses now act as “Fast Travel” points for the majority of the game. You can also visit them to “Salvage Gear” or mark SHD Tech Caches in the area that let you unlock Skill Modules and Perks but it goes without saying that Safe Houses no longer work as they did in The Division. Settlements are a brand new addition in The Division 2. These are essentially safe havens for locals that you automatically upgrade as you progress through the campaign. Each Settlement has its own “Projects” that you can complete to upgrade it. The Projects are fairly simple tasks like donating a useless piece of gear, killing ‘x’ number enemies, completing ‘x’ number of activities in an area, etc. Completing these Projects and progressing through the campaign allows you to recruit multiple staff members. Again, you are not asked to go out of your way to complete a majority of these Projects. The “Projects” tab on the World Map shows the progress of all active Projects and allows you to donate unnecessary gear from the same tab. To turn in a Project, however, you are required to visit the Settlement the Project is associated with. Each staff member has a designated job associated with him or her ranging from assigning bounties to crafting, recalibration, and other services. Once recruited, they all shift to the White House that serves as your Base of Operations. During the course of your journey, you are forced to visit Base of Operations multiple times be it for crafting, recalibrating gear, buying new skills/perks, or even testing your newly acquired weapon in the Shooting Range. Upgrading your Base of Operations is directly tied to completing missions and side missions. Each mission in The Division 2 feels like its own set-piece that takes place in iconic landmarks scattered around D.C. While they more or less follow the same principle, not a single mission feels tedious. Groups should face no difficulty in breezing through them. Solo players, on the other hand, may run into a few hiccups while trying to complete them. There is an issue with the difficulty scaling for solo players right now but Massive has acknowledged it and a fix can be expected sooner rather than later. Solo players can always take advantage of the “Call for Backup” feature that lets them send a signal to another player on the same server after being ‘downed’ or ‘killed’. These players can then answer the call and join Agents in distress. Apart from that, the Matchmaking System works like a charm and is something I sorely missed in Destiny 2. Even the side missions are incredibly detailed and fit well into the whole narrative. Aside from them, there are multiple World Activities you ranging from intercepting convoys to controlling points, eliminating bounty targets, preventing public executions, and more. Investing time in these activities provides a decent amount of XP, which sometimes, is all you need to level up and start the next mission. Visually, The Division 2 doesn’t fail to impress. The world is incredibly designed and you would appreciate it more if you take a minute during your travels to look around you. Be its writings on the walls, a briefcase hurriedly tossed in a bin, or real-life D.C. monuments, there is always something to rave about. I’m also pleased to report that texture-popping issues that were in the Beta are completely gone. The visual fidelity is accompanied by the equally incredible sound design. The sound in The Division 2 truly enhances the experience. Not only the soundtrack is good, the audio clues that enemies give you during combat tell you a lot about what to expect next. Enemies will ask for covering fire as they move from cover to cover and will announce when flanking or getting flanked. Enemies also comment if their brother-in-arms is killed in combat. Like once I eliminated a guy and the one next to him remarked, “Never liked him anyway.” These are small details that make you appreciate the game a whole lot more. When it comes to gameplay, The Division 2 is a cover-based shooter before anything else. And so, you need to utilize cover to be effective in combat. As opposed to The Division, time-to-kill is reduced on both sides; therefore, you’ve to be extra careful in combat. Shooting, however, feels great as ever before and controls are intuitive. There are endless options to build your character and it’s going to get even better when World Tier 5 difficulty and Gear Sets launch. The whole process of building your character seems deeper than the original game. There are a handful of new Skills with the addition of Skill Mods that alter the way these Skills function. While playing in a group, you need to understand the advantages of having versatility when it comes to Skills because every player running Flame Turret won’t get you anywhere, especially in Raid. Mod System has also been completely overhauled. You can no longer buy Mods from a vendor and instead will have to find them as loot or craft them. On top of it, Mods now act as a double-edged sword and provide both benefits and disadvantages. It’s something that works incredibly well and forces you to put some thought into what you want to use. Weapons essentially work in the same manner as they did in The Division. As of now, Gear Sets are called Brand Sets with each having 3 pieces. Using these Brand Sets allows you to gain benefits like additional Armor Damage, Protection from Elites, Skill Haste, and more. After you hit Level 30, you’re introduced to three Specializations. Each Specialization comes equipped with a powerful Signature Weapon and its unique set of Skills. These Specializations alter the way combat is approached. AI in The Division 2 has come a long way since the original installment and is fairly smart. You’ll find random mobs walking around the world every few seconds or so. Enemies now employ different strategies to bring you down be it flanking or rushing you down. Plus, what’s really interesting is that these strategies and even enemy positioning tend to change at higher difficulties. There are three enemy factions trying to gain control of D.C. and each one of them behaves differently. As mentioned earlier, enemies give out audio clues during combat and you should definitely try to listen. Time to kill has significantly been reduced and the common complaint of enemies being bullet-sponges in The Division doesn’t apply in the sequel. The combat is tactical, each situation can be approached through multiple ways, and most of all, it’s rewarding and satisfying. There are boss encounters that follow almost every activity. These boss fights can get dragged if you don’t know what you’re doing. Bosses and Elite Enemies are usually clad in armor and persistently shooting at a piece of armor be it helmet or chestplate can cause it to break, allowing you to target the exposed area to deal a massive amount of damage. Once you are done with the campaign, the entire landscape of D.C. changes with the arrival of a new Enemy Faction called the Black Tusk. This is where the end-game for The Division 2 kicks in. Black Tusk causes the Settlements and Control Points to get overrun once again. Your job now is to reclaim everything lost – once again – and progress from World Tier 1 to World Tier 4 which is the highest that is available as of now. Climbing through World Tiers is a grind but it never gets dull. To do so, you’re required to complete Invaded Missions that are the same missions but now with Black Tusk, complete challenging activities to acquire better Gear Score, and clear Strongholds. The maximum Gear Score as of writing this review is 450 which should be enough to play the Raid as soon as it drops. Unlike Destiny, the Raid in The Division 2 is confirmed to be an 8-player affair. These 8 players will have to work together to overcome challenges, solve puzzles, and cut through waves of enemies to be victorious. There are some changes made to the Dark Zone as well. DZ in The Division 2 now has its own set of Perks and a feature called “Normalization” that ensures that every player who enters Dark Zone is on even footing. Rogue System has been tweaked as well. You can mark yourself as “Rogue” with the simple press of a button. Dark Zone also houses “Thieves’ Den” for Rogue Agents who manage to stay alive for a set duration of time. Inside the Thieves’ Den, you will find a special vendor who sells high-tier gear. With that said, The Division 2 is not without its share of issues albeit pesky ones. Random crashes (although few and far between), skills randomly going on cooldown for 15 seconds (got fixed yesterday), skills disappearing in the sky, and some minor bugs can definitely put you off in the middle of a session. Another bug that I think needs to be fixed as soon as possible is related to a mission called Federal Emergency Bunker which is a major point in the game. Without spoiling anything, the mission requires you to interact with an object followed by watching a cutscene. However, if you’re in a group and watch the cutscene, there is a possibility that the cutscene will bug out on you and you won’t be able to progress any further. This bug caused a Level 25 friend of mine to start from scratch. If you can look past these technical issues which I’m sure will be addressed in patches to come, The Division 2 is a captivating experience with some major improvements over its predecessor. It’s clear as daylight that Massive learnt what they did wrong with The Division and have outdone themselves with the sequel. The Division 2 is online looter-shooter done right and is something games like Destiny 2 and Anthem should aspire to be. Exemplifies how to nail an Online Looter-Shooter.